Once again, hats off to Douglas Adams. He saw it all! “But it was not in any way a coincidence that today, the day of culmination of the project, the great day of unveiling, the day that the Heart of Gold was finally to be introduced to a marvelling Galaxy, was also a great day of culmination for Zaphod Beeblebrox. It was for the sake of this day that he had first decided to run for the Presidency, a decision which had sent waves of astonishment throughout the Imperial Galaxy – Zaphod Beeblebrox? President? Not the Zaphod Beeblebrox? Not the President? Many had seen it as a clinching proof that the whole of known creation had finally gone bananas. Zaphod grinned and gave the boat an extra kick of speed. No one had gone bananas, not in that way at least. Only six people in the entire Galaxy understood the principle on which the Galaxy was governed, and they knew that once Zaphod Beeblebrox had announced his intention to run as President it was more or less a fait accompli: he was the ideal Presidency fodder. President of the Galaxy traditionally wore.) It might not even have made much difference to them if they’d known exactly how much power the President of the Galaxy actually wielded: none at all. Only six people in the Galaxy knew that the job of the Galactic President was not to wield power but to attract attention away from it. Was this reported in your local news media? Millions of people gathered Aug. 7 at a meeting venue in Istanbul’s Yenikapı area for a massive joint democracy rally to protest the July 15 coup attempt, putting an end to three weeks of demonstrations following the failed takeover. The rally was a rare event in which the leaders of three political parties took the stage upon a call made by President Recep Tayyip Erdoğan, leaving aside their political differences. The event began with Mehmet Görmez, the head of Turkey’s Religious Affairs Directorate reciting from the Quran. Remember that picture from Tiananmen Square? This is Turkey! “That night, I realized that I am a part of a very great nation,” said Orçun Şekercioğlu, who came to the stage on a wheelchair. He was wounded by coup soldiers on the Bosphorus Bridge as he was standing against tanks. “I am happy because I can see the rise of Turkey,” Nationalist Movement Party (MHP) Devlet Bahçeli said in his address to millions from all walks of life. “July 15 is a milestone for Turkey,” he said, praising the citizenry’s strong stance against the coup soldiers at the cost of their lives. This is a huge one, for those who know Turkey! Chief of Staff General Hulusi Akar received a big round of applause when he took the stage. Along with Akar, other members of the top brass who were taken hostage by the coup plotters were present at the meeting. Akar once again said U.S.-based Islamic preacher Fethullah Gülen was responsible for the coup. President Erdoğan arrived in Yenikapı in a helicopter alongside first lady Emine Erdoğan. Mr Erdoğan started his speech by thanking the people who stood against the tanks and planes used by the coup plotters during the failed takeover. He wished his condolences to the 240 people killed by putschists, of whom 172 were civilians, 63 were police officers and five were soldiers. He also wished speedy recovery to the 2,195 wounded. The Aegean region is a stronghold of opposition to the government, but . . .
“We’re here to show that these flags won’t come down, the call to prayer won’t be silenced, and our country won’t be divided,” said Hacı Mehmet Haliloğlu, a civil servant who traveled from the Black Sea province of Ordu for the rally. “This is something way beyond politics, this is either our freedom or death,” he said, a large Turkish flag over his shoulder and a matching baseball cap on his head. Repeated announcements were made in the area regarding a ban on carrying party flags or party slogans. Millions of Turkish flags were seen in the area, as well as the flags of Azerbaijan, Afghanistan, Albania and the Free Syrian Army (FSA). Posters of Erdoğan and Mustafa Kemal Atatürk, the founder of modern Turkey, were also hung around the venue. The “Democracy and Martyrs Rally” was held as the last in a series of meetings to protest the failed takeover, which is believed to have been masterminded by the Fethullahist Terrorist Organization (FETÖ). It has been estimated that 3.5 million people turned up for the meeting in Istanbul – and large crowds attended similar gatherings in all of Turkey’s 81 provinces. In spite of that, I could find no mention in the New York Times, The Washington Post, The Guardian, the Sydney Morning Herald or the New Zealand Herald. BBC News chose to report: Turkey’s president backs death penalty! Apart from the Beeb, the other sites I visited focused on the possible abdication of the Emperor of Japan; continuing violence in Libya, Afghanistan, Iran and Pakistan; and the possibility that Oscar Pistorius may have tried to top himself. Is there disappointment out there that the attempted coup in Turkey didn’t succeed? It sure looks like it from where I’m sitting. You should read this. It’s not just me . . .
“Hours after the Turkish government declared a state of emergency, the German Foreign Ministry took the astonishing step of criticizing the Turkish government for the action. Frank-Walter Steinmeier’s comments revealed how ignorant he is about Turkish affairs. Germany’s neighbor France has been under a state of emergency since November 2015, and has just extended that state of emergency for another six months. The German Foreign Ministry has not said anything about that. Then two days later, in a case of grotesque and horrific irony, Germany itself had to declare a state of emergency when an assailant in Munich killed a number of civilians. Democracy in Turkey? They’re Muslims for God’s sake! Thanks to my old neighbour and friend Malcolm Evans for allowing me to publish this letter. He’s sent it to several newspapers in New Zealand, but I’m not expecting to see it published. Maybe I’ll be surprised, who knows? “Maybe it’s just me. Maybe I’ve just been trawling media stories for too long. But then again, maybe – just maybe – maybe we’re being fed as big a line of BS in our newspapers as ever we claim is routinely served up to the other lot. Did you see these photos in your local newspaper? It all came to a head these past days in the aftermath of the attempted military coup in Turkey – did you notice? Clearly a serious attempt to overthrow an elected government had taken place. And just as clearly the Turkish people, including those who oppose that elected government, took to the streets and stopped it! But then, instead of stories praising Turkey for defending democracy, which we claim to hold so dear, our newspapers ran sneering suggestions that the coup was engineered by the Turkish government to cement its power. And these were followed by warnings that Turkey had better not use the coup as an excuse to go on a “witch hunt” for other than those responsible. And all these stories seemed to materialise simultaneously and each seemed to be singing from the same song sheet! And yes, dare I say it, they carried a distinct whiff of stifled disappointment that the coup in Turkey had failed! Turkey is a major power, geographically and politically important and, as a member of Nato, is surely deserving of the same respect we accord other members of that alliance. If a similar coup attempt had taken place in another Nato country I doubt it would have been given the treatment our newspapers gave Turkey got last week. For instance, maybe I missed it, but I didn’t read of any warning being given to either France or Germany, both of whom have declared states of emergency, not to use their terror situations to impose harsh measures on anyone. (And don’t get me started on the blind eye we turn to the appalling treatment of minorities in America). So why the difference? But then of course I’m being naïve aren’t I. There’s something else going on here isn’t there. Turkey’s not playing the game some would have it played, is it? And that’s what’s behind the jaundiced eye we’re told we must see Turkey through. Heaven forbid that we should consider them as decent, well educated, nice people – they’re Muslims for God’s sake! I’m a newspaper man. I’ve worked in and around them, in one capacity or another, for over fifty years. Newspapers are a vital element of our democracy – “The Fifth Estate” said Edmund Burke – and if they are to remain true to that principle it’s vital that newspapers preserve their objectivity and resist attempts to convert them into a conduit for someone else’s agenda. I never aimed to write a political blog. For seven years I have been posting my thoughts here, and my motivation remains, as it always was, to present the Turkey that I see, to others whose vision may be clouded by negative publicity. Increasingly, however, I seem to have been forced into a situation where my writings have become more coloured by politics. Whose politics? My own. First, the attempted coup wasn’t real – it was a pantomime staged by President Erdoğan to cement his hold on power. Second, if it was a real attempt to overthrow the government, it was a pathetically disorganised one clearly mounted by a minority of stupid generals. Third, whoever organised it doesn’t matter. Mr Erdoğan is now using it as an excuse to unleash his fundamentalist Islamic supporters in a mayhem of retribution. Fourth, Turkey’s President is now using the attempted coup as a pretext for rounding up all his opponents in a ‘witch hunt’ that will probably result in burnings at the stake. All of these are still circulating in a myriad of combinations and permutations, but the latest one seems to be that now Mr Erdoğan is cosying up to Russia and Syria, in a clear demonstration that he is against the United States. To make matters worse he is denying America the use of the Incirlik base that they use to launch their peace-keeping, democracy-bringing attacks on nations in the region. 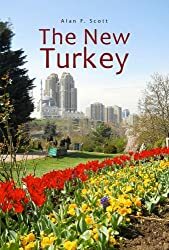 Turkey is breaking the terms of the NATO treaty and either wants out, or should be kicked out, depending on how strongly you feel on the issue. The problem with this latest argument is that Turkey’s ‘normalisation’ of relations with neighbours also seems to include Israel, US bosom-buddy, who can, in the eyes of the American government, do no wrong. So what’s really going on? First up, many of the apparent contradictions in Turkey’s international relations cease to look like contradictions if you assume that the aim of the government is to modernise the country while remaining non-aligned; to have good working relations with its neighbours while looking after the interests of its own people first. Is this really how they see themselves? Second, commentators and the liberal chattering classes in the West have difficulty grasping the concept that ‘Islamic-rooted’ parties in the Middle East and elsewhere are often populist, trying to pursue policies that they generally associate with non-religious, left wing, socialist political movements. If you’re confused, let me try to straighten it out for you. The long-standing American position has been, and remains, that if you’re not with us, you’re against us. Non-alignment is not comprehensible and not acceptable. Populist governments in developing countries often espouse policies that serve their own national interest, bringing them into conflict with United States’ commercial interests. It follows that America will do its best to bring about regime change whereby a more sympathetic local will lead his/her country on the road to righteousness. However, things are not as simple as they once were. Direct military intervention attracts unwelcome publicity, and carries no guarantee of success. The Bay of Pigs invasion of Cuba, and the Vietnam War are examples that spring to mind. The preferred technique in recent years has become economic carrot-and-stick coupled with undercover infiltration and encouragement of revolt from within. Iran is a good example. In 1952, a democratically elected prime minister sidelined the Western puppet Shah and attempted to nationalise the country’s oil industry. Encouraged by Britain, the United States government used its CIA to overthrow the Mossadegh government and reinstall the Shah. Economic carrots supported the Shah’s government and a small socio-military elite for twenty-seven years – until they were overthrown by a populist uprising. Led by who? America’s beloved Ayatollah Khomeini. But who had empowered him? The downtrodden people of Iran who saw radical Islam as the only force capable of uniting them and ridding the country of foreign intervention and Western puppet rulers – ie the anti-American Khomeini monster was created by America itself! What about Egypt? The Arab Spring of 2011 saw a populist uprising overthrow the US puppet Hosni Mubarak, who had ruled in Egypt for 29 years, maintaining friendly relations with Israel while building the world’s tenth largest military with US support, and kept the majority of his people in poverty while surrounding himself with a supportive socio-economic elite minority. Same game. Egypt’s first democratic election quite naturally, in a 99% Muslim country, tossed up an ‘Islamic-rooted’ president. Suddenly the Egyptian economy turned to pea soup (surprise, surprise!) and Mohammed Morsi was overthrown by a ‘populist’ uprising that everyone but America recognises was a military-sponsored coup. On to Turkey. Since the beginning of the republic in 1923, Turkish governments have looked Westward for inspiration. Through the Cold War the country was on the front line between NATO and Soviet USSR. The United States had military bases with nuclear weapons sited within Turkey’s borders. In spite of that, the Western alliance has played the country for its fool. The carrot of EU membership is constantly held out, as incentive and threat – and always withdrawn. Turkey has been condemned internationally for its quite justifiable action in Cyprus, and held accountable for the sins of the Ottoman Empire, while being given little or no credit for its exemplary achievement in creating a fusion of secular Islam, modernisation and democratic republicanism. Not so long ago Turkey’s government was mocked for pursuing a foreign policy aimed at ‘zero problems with neighbours’. It went bad for a while, but they haven’t given up, and I admire them for that. What’s the alternative? Historically the Ottoman Empire fought many wars with Russia and Persia (Iran). The mutual benefits of sound diplomatic relations and commercial trade seem like better options. The Muslim people of this country have had good relations with their Jewish neighbours for centuries. Why should they allow a small spat to poison that permanently? Turkey’s AKP government had a working relationship with Assad in Syria before the civil war broke out – since when millions of refugees have streamed across the border, creating an economic and social tragedy. Probably many of those people would prefer to go home, if that were possible. Certainly Europe doesn’t want them. If a local solution can be found, maybe that’s the best thing, who knows? Turkey allows the United States a military presence at Incirlik, but they reserve the right to say how and when the base will be used – or not used, as they did in 2003 when George Dubya invaded Iraq. I understand there were a few Americans who didn’t fully support Bush’s action there. So is the Turkish government against America? I don’t think so. They would like to be friends, in my opinion, but they do not want to be mindless puppets of a foreign power whose only interest seems to be maintaining the non-negotiable way of life of a small minority of its own people. Who was behind Friday night’s attempted coup in Turkey? I don’t know, but I have my suspicions.